After years of success, Hala Febrayer continues to bloom in Kuwait and this year, you will be able to enjoy five concerts for 10 of the best artists in the Middle East. These concerts are managed by Rotana and will take place in the Opera House in Sheikh Jaber Cultural Centre. You can book your ticket through www.jacc-kw.com and note that tickets prices start from KD 50. 1. 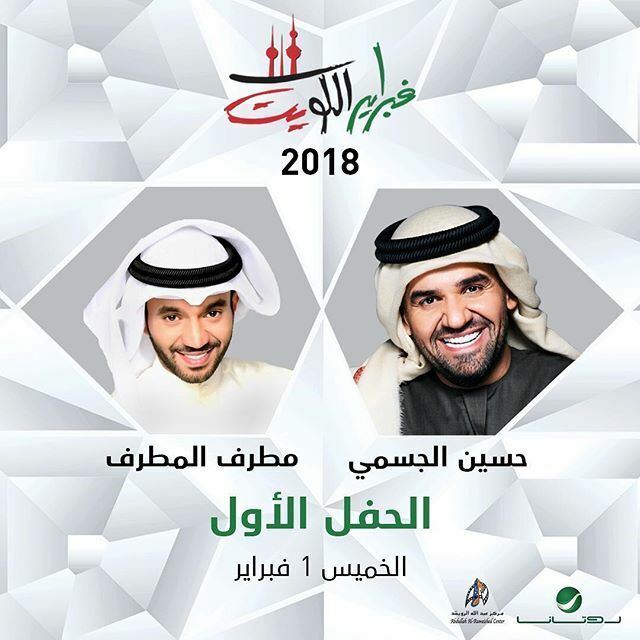 1st Concert: This concert is for Emirati Singer Hussein Al Jasmi and Kuwaiti Singer Mutref Al Mutref on Thursday 1 February. 2. 2nd Concert: This concert is for Kuwaiti Singer Nawal Al Kuwaitiya and Egyptian Singer Sherine Abdel Wahab on Friday 2 February. 3. 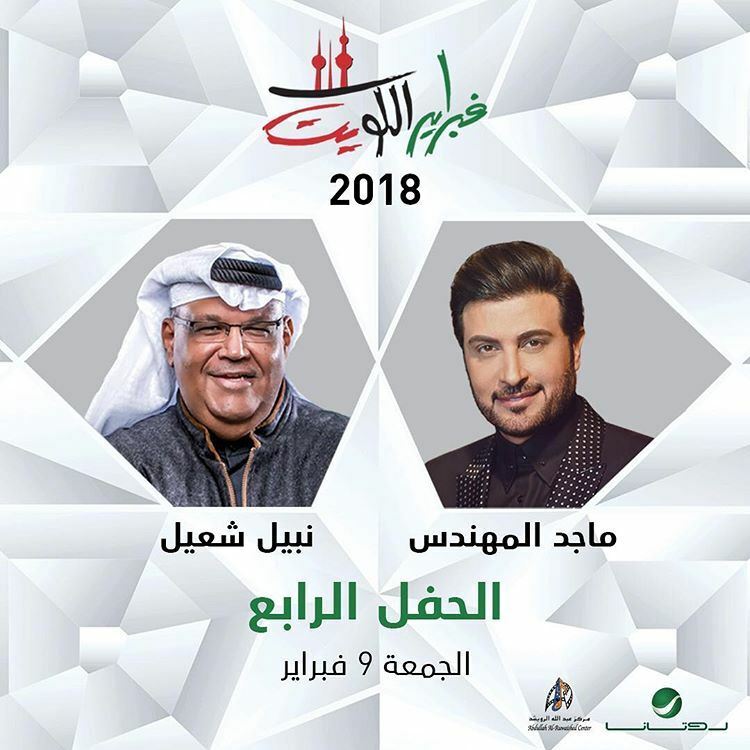 3rd Concert: This concert is for Kuwaiti Singer Abdullah Ruwaished and Syrian Singer Asala on Thursday 8 February. 4. 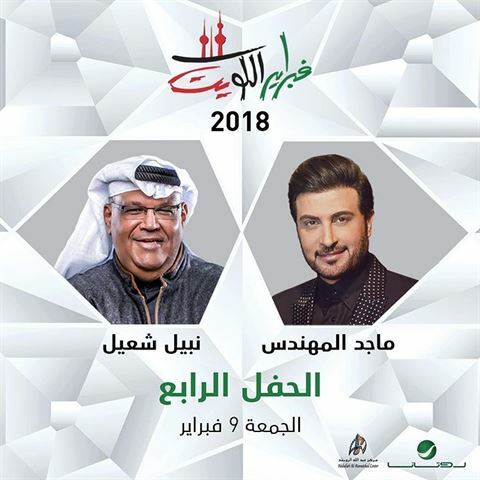 4th Concert: This concert is for Iraqi Singer Majed Al Mohandes and Kuwaiti Singer Nabil Shoail on Friday 9 February. 5. 5th Concert: This concert is for Saudi Singer Mohammad Abdo and Egyptian Singer Angham on Thursday 15 February.